No matter your goals in the ever-changing, dynamic world of business, the Leighton School will prepare you with the education and experiences to achieve them. Our mission is to ensure your success. 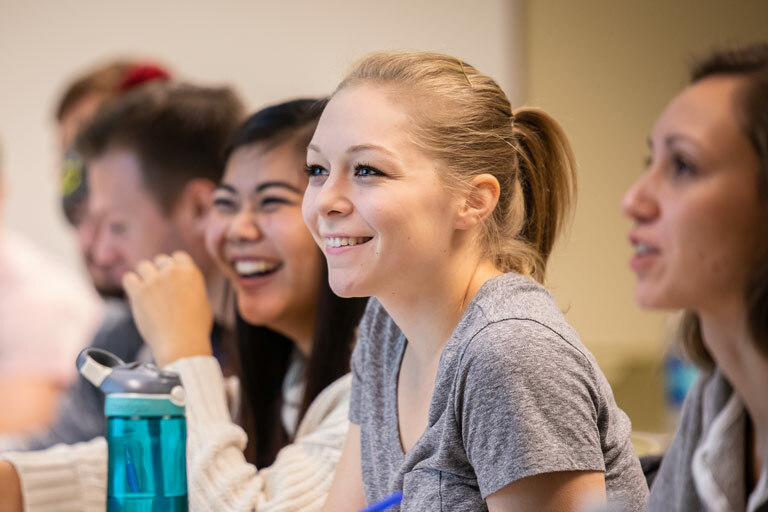 At the Leighton School, we have a variety of student resources that will help you prosper academically, personally, and professionally throughout your time in college. These range from academic advising, career counseling, internships to peer mentoring and more! At the Leighton School, you have many opportunities to explore careers, network, develop friendships and get involved. The Leighton School has a powerful alumni network. At the Leighton School, our commitment to your success, and your commitment to the School remains long after you graduate. We invite you to get involved. Most of our graduates choose to live and work in the Michiana community, providing a talented workforce for our businesses and enhancing the livelihood of our communities. Your support is an investment in the people who will become Michiana’s future business and community leaders. Accreditation is a key differentiation that sets the Leighton School apart. It represents the highest standard of achievement for business schools worldwide. The Leighton School is accredited by AACSB International, an achievement only five percent of business schools worldwide are able to reach.